KFC's Chizza is back -- Now in Four Cheese! Hey guys! 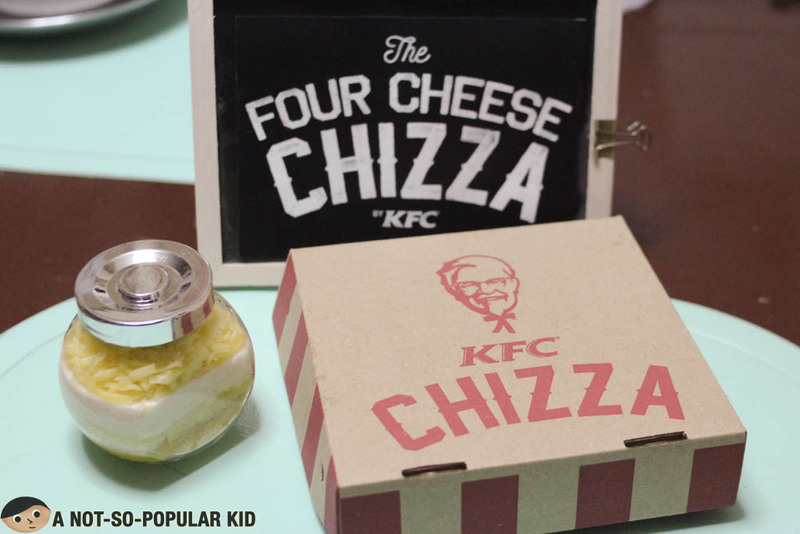 I'm here to share with you that KFC is bringing back it's Chizza (Chicken + Pizza) invention! Now, it's in the form of "Four Cheese" -- Romano + Parmesan + Mozzarella + Cheddar! 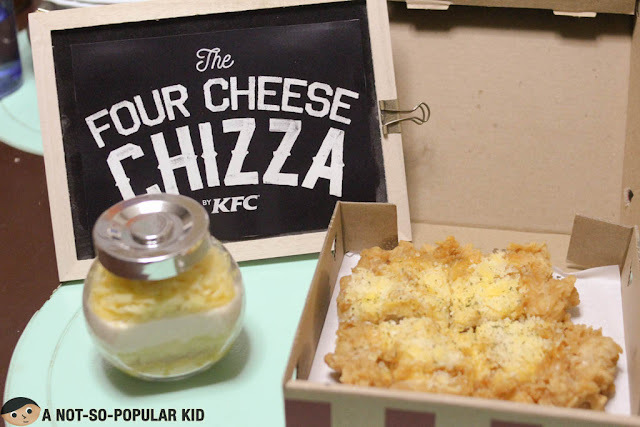 Ready your buds as KFC Philippines introduced the KFC 4 Cheese Chizza! Oh yeah, all chicken and pizza lovers rejoice! The new KFC Four Cheese Chizza will be available in Luzon stores by July 22, 2016 and nationwide by August 13, 2016.